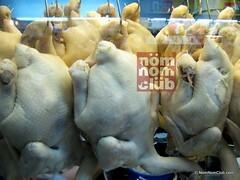 Tian Tian Hainanese Chicken Rice Lah! ‘All You Need is Lamb’ Promo Extended! 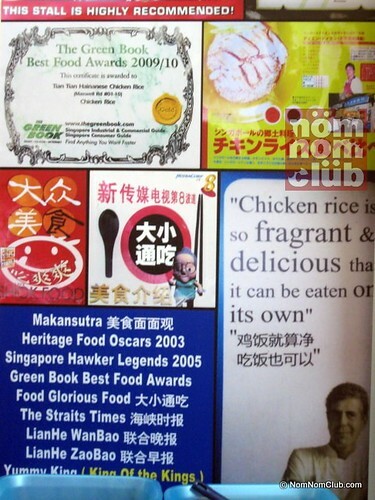 If you are going to ask friends what food or dishes to try in Singapore, I believe 9 out of 10 would say that you should not miss Singapore’s Hainanese Chicken Rice – well, I did when I first went there in 2008. But this wasn’t the case anymore when I went back last year. Together with Filipino food blogger friends, it was an adventure with every meal. 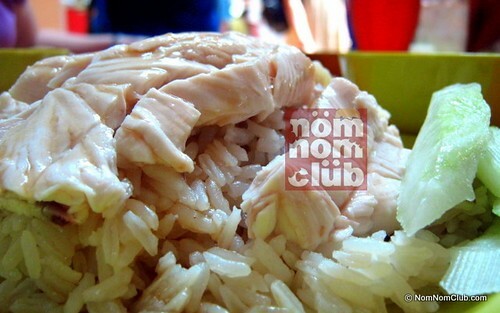 Let me share to you the other dishes on another entry, for now, let’s focus on the Hainanese Chicken Rice adventure. 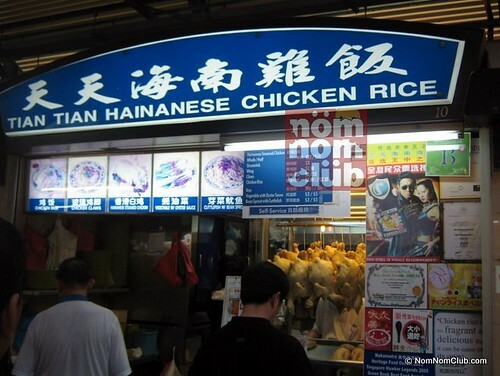 As I’ve mentioned earlier, Hainanaese Chicken Rice is almost everywhere in Singapore so you wouldn’t miss it in any hawker centers around the country. Hawker centers are food centers comparable to our “food courts” found inside malls minus the airconditioning system. Establishments are separated into stalls and usually employs the self-service system. The uninitiated might ask if we could simply order Hainanese Chicken Rice from any of these hawker centers and that’s it? Well, you may. But wouldn’t you want to taste the best one in town? And this is where Tian Tian Hainanese Chicken Rice stall comes into the picture. Fellow food blogger-friend Fran Haw recommended this one so on our second day in Singapore, we went to the Maxwell Food Center in Chinatown located at the corner of Maxwell Road and South Bridge Road (near Sago Lane). There were about 100 food stalls but we specifically searched for Tian Tian Hainanese Chicken Rice. And to my amazement, there was a queue of about 10 people in front of us. 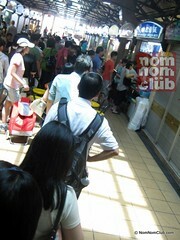 This might not sound surprising, only that the other food stalls doesn’t have a queue like ours. It was already past 12 noon and my growling stomach was very much tempted to order hastily from the other stalls. But I placed my faith in Fran that the experience of ordering my Hainanese Chicken Rice specifically from Tian Tian Hainanese Chicken Rice would be outstanding. My turn to order came. 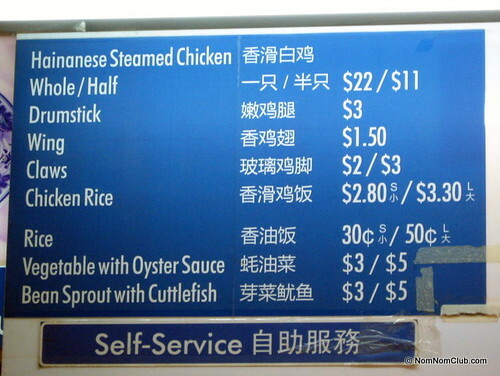 I observed that the price of their Chicken Rice at 2.80 Singapore dollar was actually a little higher than the estimated average of its peer stalls at only about 2.50 singapore dollars. I don’t really mind the .30 difference and continued to order. I can’t remember though if I ordered the small one or the big one at $3.30 . Anthony Bourdain himself said: "Chicken Rice is so fragrant & delicious that it can be eaten on its own"
Anyhow, as expected, the steamed chicken meat was tender, fresh, smooth and smelled good. Without the sauce, others might find it lacking since it’s the kecap manis which heightens the flavor. But for me, I can appreciate the freshness of the taste and soft texture of the meat even without the sauce. I had some from time to time. By the way, don’t expect any charming service from the stall servers. They’re just up-and-straight – “What’s your order?” (in singlish if they immediately notice that you’re a foreigner). They reply to you with the price and prepare your order. They receive your money, gives you the change, you wait in front, and they hand you your order. Seeing that I only ordered one dish, the guy took my tray back and had me carry my plate by hand. And that is my Tian Tian Hainanese Chicken Rice story.